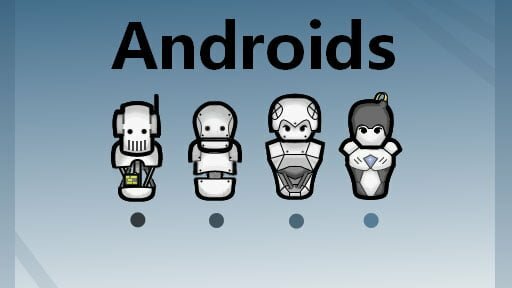 This mod requires the Humanoid Alien Races 2.0 and Jecstools in order to work. 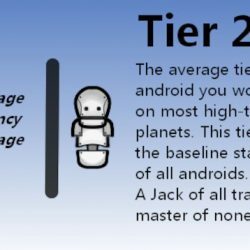 Please, ensure you have it installed and on a higher position in the mods list. 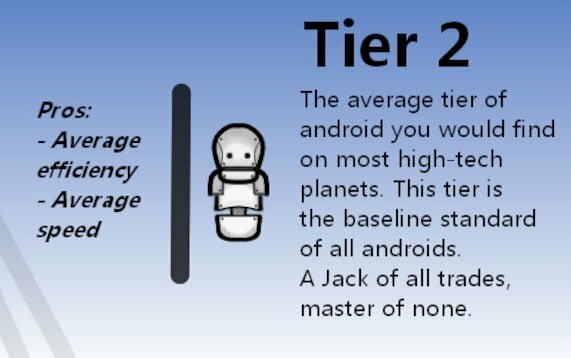 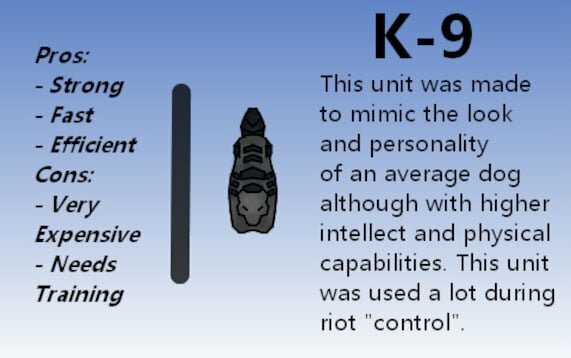 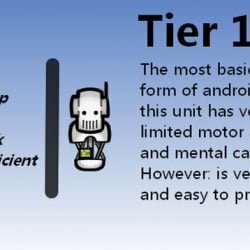 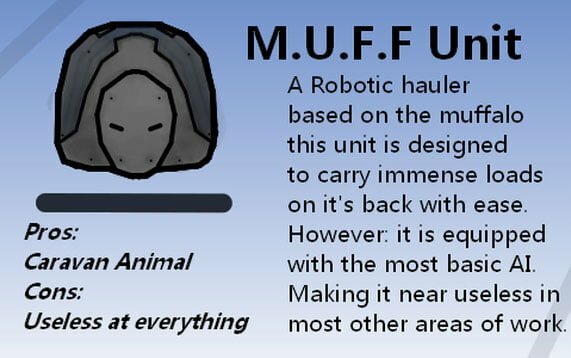 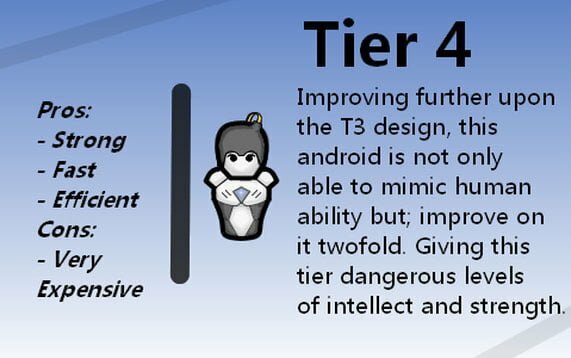 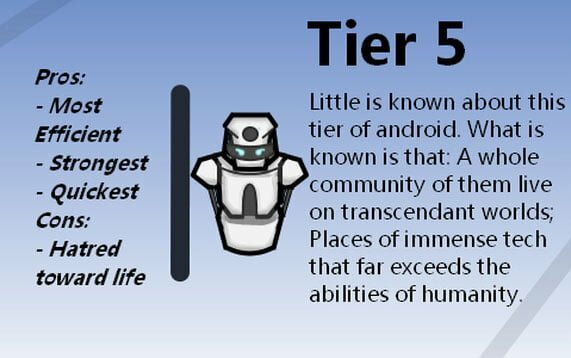 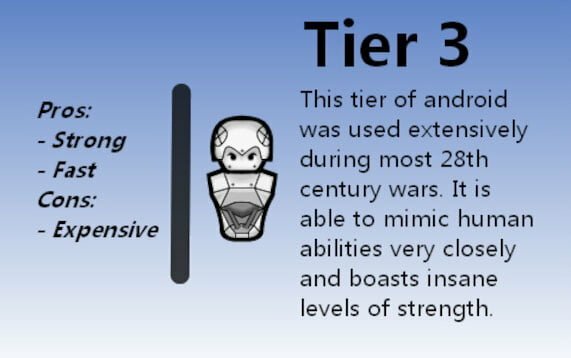 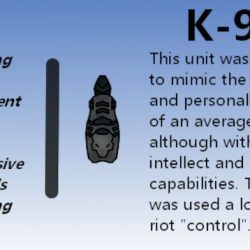 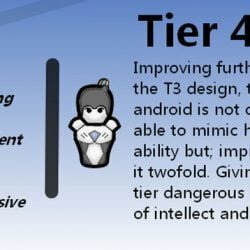 The Android tiers Mod aims to add several tiers of sentient android colonists, along with their respective upgrades and other bonus additions. 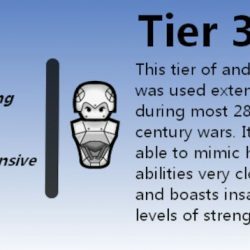 A compatibility patch for Combat Extended is available here. 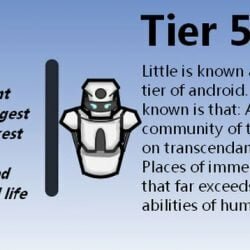 The Android tiers Mod comes with a lot of new research projects and new challenges for you to take on. 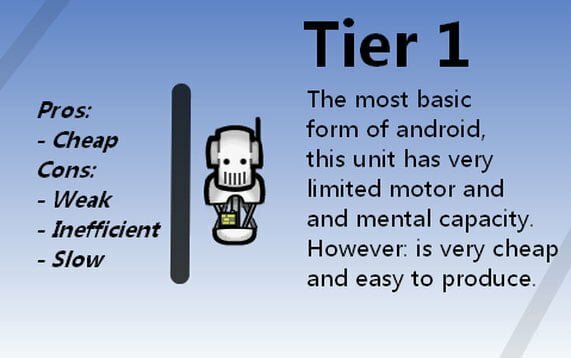 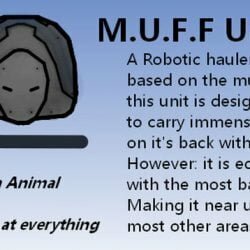 These useful robots that you can control as pawns are guaranteed to give you new objectives and plenty of hours of fun.